عندما تزور روكهامبتون, ستشعر أنك في بيتك في Leichhardt Hotel الذي يقدم لك إقامة متميزة و خدمات عظيمة. يمكن من هنا للضيوف الاستمتاع بسهولة الوصول إلى كل ما تقدمه هذه المدينة النابضة بالحياة. بالنسبة لمن يريد الخروج، هذه بعض المعالم السياحية المتوفرة للزوار ‪FLOW Visitors Centre‬, متحف سي كيو الحربي, Customs House. كما يقدم Leichhardt Hotel الكثير من الخدمات لإغناء رحلتك في روكهامبتون. إن مكتب الاستقبال على مدار الساعة, تسجيل وصول/خروج سريع, تخزين الأمتعة, واي فاي في المناطق العامة, صف السيارات هي جزء فقط من الخدمات التي تميز Leichhardt Hotel عن باقي الفنادق في المدينة. تتضمن كل غرف النزلاء وسائل الراحة والتسلية المصممة خصيصاً لضمان الراحة القصوى للضيوف. يمكنك طلب اللائحة الكاملة للخدمات في الفندق ومن بينها بلياردو. يشكل Leichhardt Hotel بخدماته الراقية وموقعه الممتاز، قاعدة مثالية للاستمتاع بإقامتك في روكهامبتون. Location is very convenient for me in the city. Shopping centre nearby. Standard room facilities with tea, coffee and refrigerator but important for me too is an iron and ironing board . The aircon is not always responsive to temperature control and tv lacks abc 24 channel. Beds are comfortable. Restaurant prices are very reasonable and restaurant staff are polite and welcoming. Reception staff are now more professional and courteous, a welcome change from some years ago. Having $100 held in your car card for days really irks me! But I usually stay here as it is across the road from work. Meals are ordinary - apart from the $1 oysters which I believe they are stopping. Always stay here overnight for work - love being able to have a bath after a long day at work. Beds are comfortable. Oysters were huge and amazing. Sent my medium rare steak back once as it was well done, it returned medium to well but by this time I was too hungry and my husband had finished his meal. Breakfast sausages and poached eggs also way over cooked. Everything else excellent though. I have stayed here many times for work and from the outside the gloomy building looks like it would attract all sorts, but surprisingly it is mainly a corporate stay hotel, with the court house and police headquarters accross the road. Parking is convennient. A short walk to live music and a wonderful indian restaurant. Rooms have a full bath, small fridge but no heating. Hotel provided a fan heater for us tho, which was great. Bed was a little lumpy/saggy. Check in left a little to be desired as staff were curt, yet checkout was friendly and efficient. Room service breakfast was divine and my husband really enjoyed the beers on the front terrace bar :) Look forward to staying next month for work - well worth the money. Overall, the hotel was very good. We did have a slight inconvenience however with parking as we (and another couple with us) were towing trailers but only single, outdoor car spaces are available. As we were towing a boat and needed extra security, we were able to park in the secure loading dock area but our friends had to unhitch their camper trailer and park in two single car parks beside the hotel. Management should review their car parking facilities to make available double length car parks for travellers with trailers. Room was clean, although carpet worn. Bed was very comfortable. Food in the Bistro downstairs was excellent and the staff happy, friendly & helpful. Very pleasantly surprised as cost was low. 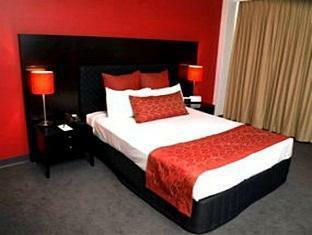 Walking distance to Shops, CBD and Riverside picnic area. Staff are genuinely friendly. Steak from their chefs is one of the best I ever taste!! We really enjoyed our stay at this hotel. Conveniently located downtown with a great 24 hr check in service. Food well priced but no undercover parking.. No issues though as across from the police station!! I found the hotel to be in a great location and good value for money. It was easy access to find and not far from the highway for those traveling north or south and just looking for somewhere to rest. 24 hour check in very handy! Clean room, staff friendly, polite and happy to help, great food. I found the air conditioning stopped when the lights were turned off. This was ok for my stay, but not when the weather heats up. I would consider this a hindrance for me to stay there again during the warmer weather, but I do not travel much, so no guarantee I will get back there soon. Additionally, when showering, I found it took three times as long to get the shampoo / conditioner out of my hair as the water from the nossle was insufficient. I have a water saving shower nossle in my home, so I know better is available. Given the area is in drought, I would consider the small expenditure to save the precious resource that water is. 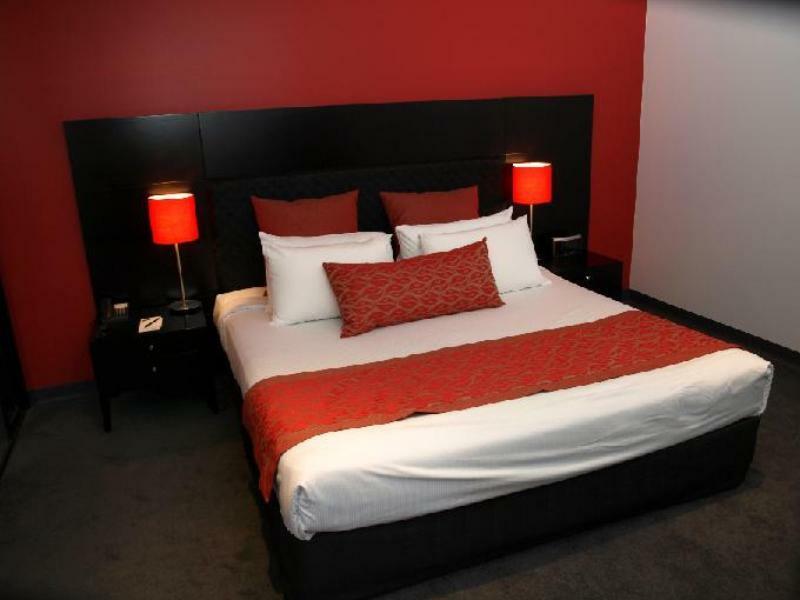 The Leichhardt Hotel is a really good value for money. Friendly staff, very clean room, good service and good food made for a pleasing stay. I would certainly stay there again but would avoid the fold out bed as mine was a bit of a shocker! Its obvious the hotel has seen better days and in places its a bit tired, the rooms are ok and the bathroom a little small but they do make an effort to present what they have in the best way possible. 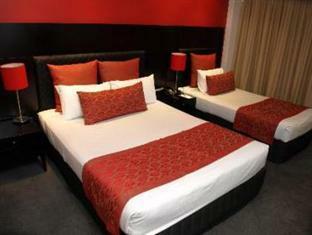 The bed was comfortable, the whole place was very clean and the food from the restaurant excellent. It just felt a bit sorry for itself is all. That's not a big criticism, I would stay there again. Only hiccup was, we were locked out of our room due to a malfunction with the door lock but this was resolved within 2.5 hours. Just would have been nice for them to come find us in the dining room and advise the room was ready to go again as we were extremely tired and in need of a shower after playing competition beach volleyball all day. Even with this though I was inpressed with the hotel as I had not stayed there for more than 20 years. Pleasantly surprised with the improvements in the room, the more professional and polite service at reception and the cheaper and better breakfast since my last stay about 2 years ago. For the price it doesn't compare to others with a pool or gym, but the location is superb and you can't beat the Monday oyster special!! Always excellent value for money, can walk to work and shops and always have a good stay here.